Save Time. Save Money. Increase Your Clientele Base. 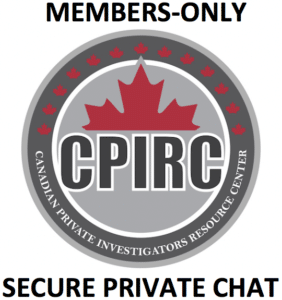 Since 1999, the Canadian Private Investigators Resource Center has been serving the investigation community by specializing in Canadian open-source intelligence (OSINT), reducing research time, increasing traffic to your website, streamlining the mandate to billing process and saving money through our member benefits program. See below on the benefits of joining the Canadian Private Investigators Resource Center family. The Canadian Private Investigators Resource Center is Canada's investigative gateway containing thousands of open-source intelligence (OSINT). These are continuously updated, saving hours of research time and in turn saving clients hours of research costs. Lien Searches and Thousands more. 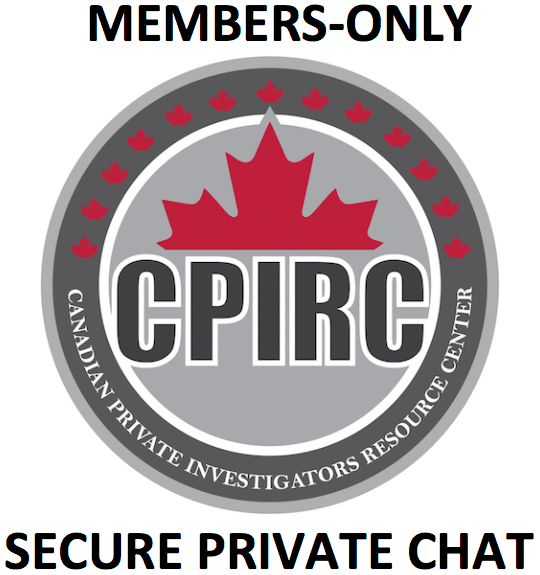 All members get FREE access to the CPIRC members-only secure private chat group. Network with investigators world-wide, share tips and tricks, ask questions, all secure and private. The average person has approximately 25 online accounts but private investigators have several more pseudo email accounts used for investigations. Most use the same simple password of 6-8 characters for all their accounts. If one account gets compromised all the others are now vulnerable. Password managers allow you to create passwords containing 100 characters containing a mix of numbers, letters, and symbols. Creating passwords of 20 plus mixed characters will make it virtually impossible for hackers to break. Using LastPass gives you not only greatly enhanced security but convenience too. As investigators, we often times forget to protect ourselves when conducting online investigations. We are proud to be affiliated with Private Internet Access to offer you the ability browse the internet anonymously. Looking for a new logo, business card or website redesign? Let 99 Designs guide you through the painless process where 30 + designers battle for your business. Never pay retail prices for ink, toner and office supplies again! An investigator can easily produce thousands of pages of reports per year. The cost of ink really can greatly affect the bottom line. Not anymore with 123ink! CPIRC members receive preferred rates with Choice Hotels Canada at over 6,000 participating properties worldwide. With brands such as ComfortTM, Comfort Suites®, Quality®, Sleep Inn®, Clarion®, MainStay Suites®, Suburban Extended StayTM, Econo Lodge®, Rodeway Inn® and the Ascend Collection® network of hotels. Free Internet, Free breakfast, Free parking, Free newspaper, Pool or exercise room. CPIRC members receive preferred rates with InterContinental Hotels Group. IHG includes 7 brands and over 4,500 hotels including, InterContinental, Crowne Plaza, Indigo, Holiday Inn, Holiday Inn Express, Staybridge and Candlewood Suites. CPIRC members receive $5 USD rebate on a 1 subscription and $10 USD rebate on a 2 year subscription of PI Magazine. Athletic Greens covers your nutritional bases in just 27 seconds a day. You’ll be hard pressed to find another product that delivers the same benefits in a single serving. CPIRC Members receive a FREE one-off supply of Athletic Greens Premium Grass-Fed Whey Protein, valued at $29.99 USD. Save 10% on your next iHerb order. One of the Best Values in the World for Natural Products! For over 14 years, iHerb has striven to enhance your online shopping experience. It is now a world-class online store, supplying a vast selection of brand name natural products. iHerb believes that it offers the best overall value, period! Its success and very existence are dependent on the repeat orders and word-of-mouth recommendations of loyal, satisfied customers. iHerb.com operates from a brand new 360,000 sq. ft. climate controlled warehouse located in Moreno Valley, California. 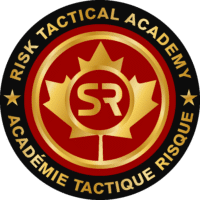 CPIRC members receive 15% off selected courses offered by Canada's premiere tactical training academy, Risk Tactical Academy. 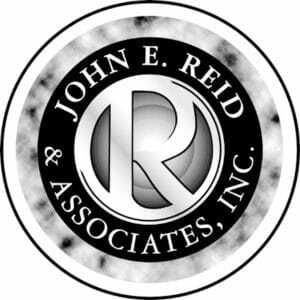 CPIRC members receive special discounts on John E. Reid course registration fees and training materials. The reduced seminar fee for the Reid open registration seminars is $395 U.S. (a savings of $155 from the standard $550 per person fee). The discounts are 10% or better on our products. The Reid Technique of Interviewing and Interrogation, widely recognized as the most effective means available to exonerate the innocent and identify the guilty. Dektor, the inventor of the PSE and Voice Stress Analysis for lie detection will offer CPIRC members 1 person trained free of charge for each PSE-LEEP™ and PSE-Touch™ bought. A $1400 value! Avis has agreed to offer all CPIRC members corporate flat rates or discounts off lower promotional rates, with reduced liability to the Avis car when renting on the corporate rate. These savings alone can pay for the annual CPIRC membership! * As an added bonus all CPIRC members can sign-up for the AVIS Preferred Service Program for FREE! It means your paperwork will be taken care of in advance, so there's no waiting in line. And AVIS will process your return in under a minute with Roving Rapid Return. You'll also get the best parking spaces, lowest-mileage cars and a convenient toll-free reservation number. * Almost all rental vehicles in North America include Free Unlimited Kilometers when the car is returned to the renting city. 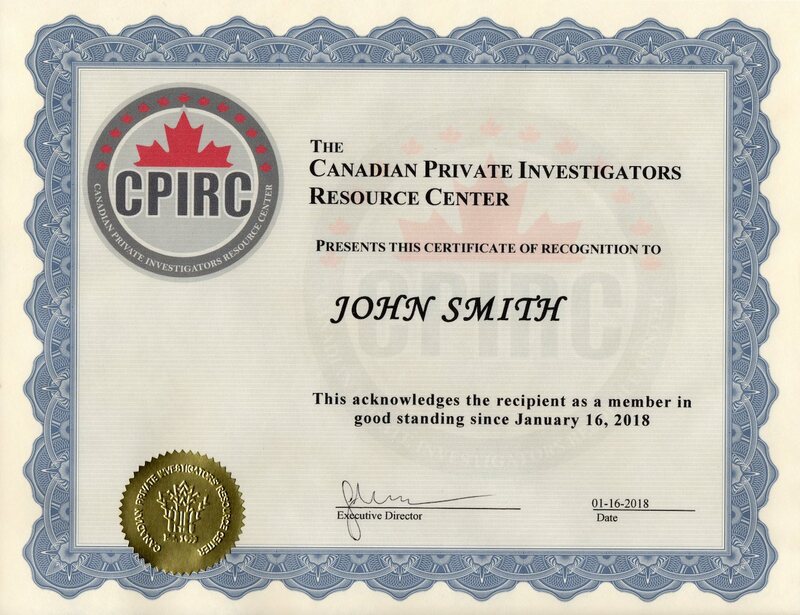 Since 1999, CPIRC.com has developed relationships with thousands of public and private investigators from around the world. We have compiled a list of investigators and security specialists in several countries willing to assist CPIRC members in their operating country and have agreed to contact our members when needing assistance in Canada. CPIRC members receive a membership certificate including, name (for individuals) or company name (for corporate) and CPIRC seal. Click here to view a sample CPIRC Certificate. As a CPIRC member you will receive an electronic version of our logo to add to your website, social media and letterheads. Often times clients only have your reports to judge the quality of your work. Every investigator needs professional looking reports to standout above the competition. With your membership you will receive an assortment of downloadable, completely editable and customizable templates to your own needs. Including, surveillance report templates, surveillance preparation template, expenses tracking templates and tools to aid you in improving your reports. Since 1999, CPIRC.com has always ranked in the top search engine results. Your annual membership includes a listing of your company profile. Not only will this dramatically increase exposure for your company but will also improve your own company’s website Search Engine Optimization (SEO), an essential tool in today’s market. Our website averages 50 000 unique visitors per month. Your agency's contact information will appear on our online database in the following format. This includes company name, contact name (optional), complete address, telephone and fax numbers, email, website, LinkedIn page, Facebook page and Blog page as well as up to 300 characters of free form text describing the services that your agency offers. We specialize in insurance fraud cases, undercover operations, surveillance, domestic investigations, special events security and executive protection. * If your company changes address, email, website, telephone or fax. Just send us your new information and we will make the appropriate changes FREE OF CHARGE. We receive inquiries daily from law firms, multinational corporations and individuals from around the world that are in need of investigators in Canada. All potential clients and/or inquires are forwarded to our members. There are no hidden costs, no commissions or charges for referring potential customers to your agency. It's all included in your annual membership. If you have valuable information to share with our readers you may contribute to the Investigator’s Journal all while adding credibility to your agency.